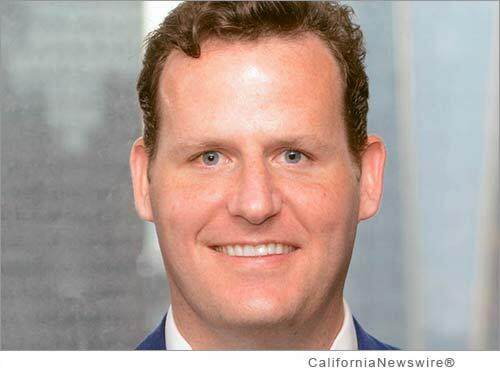 SAN FRANCISCO, Calif. /California Newswire/ — Edgewood Partners Insurance Center (EPIC), a retail property, casualty insurance brokerage and employee benefits consultant, announced today that John Walsh has joined the firm as their Principal of Executive Liability and Financial Lines insurance. Walsh brings more than 10 years of Financial Lines Broking, Placement, Underwriting, Business Development, Client Service, Operations and Claims Management experience to EPIC. Walsh has worked extensively with Private Equity, Investment, and Corporate Clients undergoing M&A transactions, as well as global regulatory exposures at both Marsh Inc. and Zurich Insurance Company. Walsh began his career with Marsh USA in their Financial and Professional Insurance Practice (FINPRO) providing Client Advisory and Insurance Placement services to both publicly traded and privately held Clients. He then led a team within Marsh's Private Equity M&A Services (PEMA) practice devoted to the Executive Liability insurance needs of Private Equity firms and their Portfolio Companies. In 2007, he joined Zurich Insurance Company and their start-up M&A Group that provided all insurance coverage lines for M&A transactions as Zurich M&A's Business Development and M&A Deal Coordinator. Since 2010, Walsh was the North American Head of Zurich's International Program Financial Lines group, with responsibility for Business Development, Underwriting, and Client Service on a global basis. He advised publicly traded and privately held Risk Management and Middle Market Clients on their Global Insurance Program needs, utilizing Zurich's International Network of 200+ countries and the changing regulatory and tax issues associated with each country, including coverage for the USA subsidiaries of foreign Multinational Clients. As one of the nation's fastest growing private insurance brokerage firms, EPIC has been on an aggressive national growth trajectory, successfully competing against the large, institutional brokers with an entrepreneurial, client-focused business model. Since The Carlyle Group became the firm's major investment partner in December 2013, EPIC has completed four strategic acquisitions/purchases, adding nearly 250 employees in nine new locations across the country and nearly doubling revenues from roughly $80 million to run rate revenues of almost $160 million. Walsh will be based in Stamford, Conn. and will report to Steve Levene, Managing Principal of EPIC Risk Solutions. "John is widely regarded as one of the top Executive Liability and Financial Lines professionals in the country, and he has been an innovator and leader his entire career," said Levene. "Our current clients, and also those that are portfolio companies of EPIC investor The Carlyle Group, and other private equity firms, will benefit significantly from his knowledge, expertise, advice and counsel." Walsh attended the University of Pennsylvania in Philadelphia, Pa. where he received a Bachelor's of Arts degree in History with concentration in Economics and International Relations, and was a member of their nationally ranked Division 1 Lacrosse Team. Walsh also earned his Master's in Business Administration (MBA) with Dual Major in Finance and Marketing from the Fordham University Graduate School of Business in New York, N.Y. He is a current candidate for the Associate in Risk Management (ARM) Designation. "I'm very excited to lead EPIC's capabilities in Executive Liability and Financial Lines advisory and placement, as well as contributing to EPIC's national expansion initiatives as a part of the EPIC Risk Solutions team," said Walsh. Headquartered in San Francisco, EPIC Insurance Brokers and Consultants has nationwide presence with a depth of industry expertise across key lines of insurance, including commercial property and casualty, employee benefits, unique specialty program insurance, and private client services. Since its founding in 2007, EPIC has grown revenue from $5 million to $150 million through both organic growth and strategic acquisitions, and remains a fixture on the insurance industry's "Best Places to Work" lists. Its strategic partners include private equity firms The Carlyle Group and Stone Point Capital. To learn more, visit http://www.epicbrokers.com/ .